Local Traveling and Sightseeing by AC or Non AC vehicle. Amusement Park charges, Entry Tickets, Museum Entry Tickets will be directly paid by client. Anything other than mentioned in Includes. Departure to Umaria at 11:35 PM by Narmada Express (8233). Overnight journey. Arrival Umaria at 10:36 AM and depart to Bandhavagarh by semi luxury coaches. 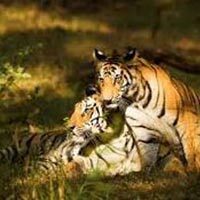 Bandhavgarh is 30 km from Umaria.Bandhavgarh is in the heart of central India and islocated in Madhya Pradesh. It covers over 448 sq km and is situated in Shahdol district in the midst of Vindhya Range. 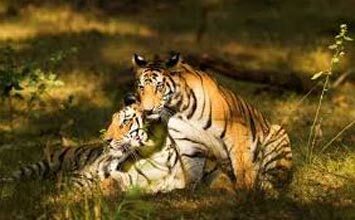 There are many tourist attractions in Bandhavgarh that claim to be the major crowd pullers in the town. Relax for some time have your healthy breakfast and move out for local sight seeing of Bandhavgarh. After comeback have a delicious dinner and Night stay. Early morning after breakfast move out from the hotel and go for Bandhavgarh Fort. The ruins of the majestic Bandhavgarh Fort is located on the top of a lofty mountain with a captivating view of the surrounding forest-clad hillocks, valleys and rivers that snake through them. The Fort dates back almost 2000 years and the scattered ruins of archaeological wonder- arches, temples, idols, stables-tall prairie grasses and the stately stands, thrive till today. Back to the hotel and Night stay. Day 4: Check out & Departure to Bhopal. Today no early morning wake up take your own time to get up, after breakfast check out and move to visit some more places like natural life in Bandhavgarh,etc. After lunch depart to Umaria to catch the train at 04:30 PM by Narmada Express (8234).Overnight journey. Please note that there are some places at hill station where vehicles are not allowed. You have to manage sightseeing of that place by your own. Parking is always a big problem at hill stations, so sometimes drivers have to Park the vehicle away from the hotel. Please ring your driver 1 hour prior leaving the hotel. Please maintain the timing as per the itinerary so as to avoid chaos.